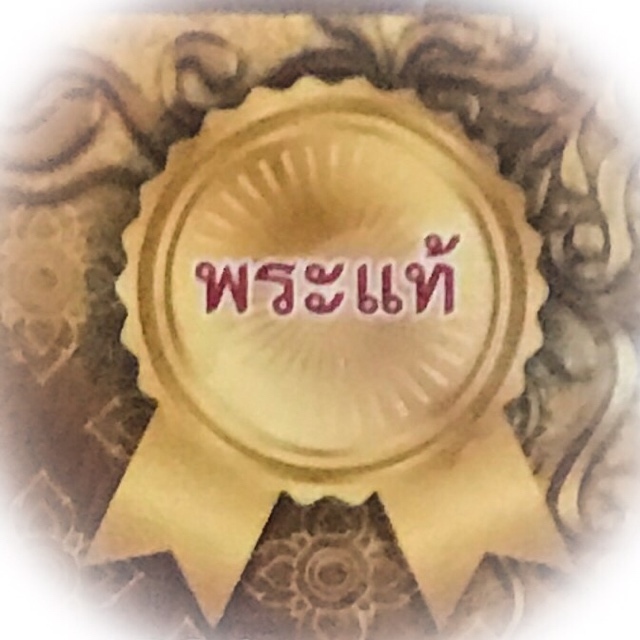 Suea Luang Por Phern Tidtakuno Wat Bang Pra – Master of the ‘Ride the Tiger’ Wicha, Wicha Suea Maha Amnaj and Suea Koo, the Tiger and Luang Por Phern Tidtakuno are synonimous with each other. Luang Por Jong (Wat Na Tang Nork) – famed for his Hnang Suea and Hnaa Phaag Suea Tiger Takrut amulets, for their immense Kong Grapan Chadtri Klaew Klaad powers. Suea Luang Por Chan Wat Bang Bor, famous for continuation of tiger amulets of the Temple Inheritance Wicha of Luang Por Parn. The Wicha Suea is a Powerful Wicha which has been used since human memory can trace back, since we lived in caves and worshiped the animals of the forests, for their inherent powers. 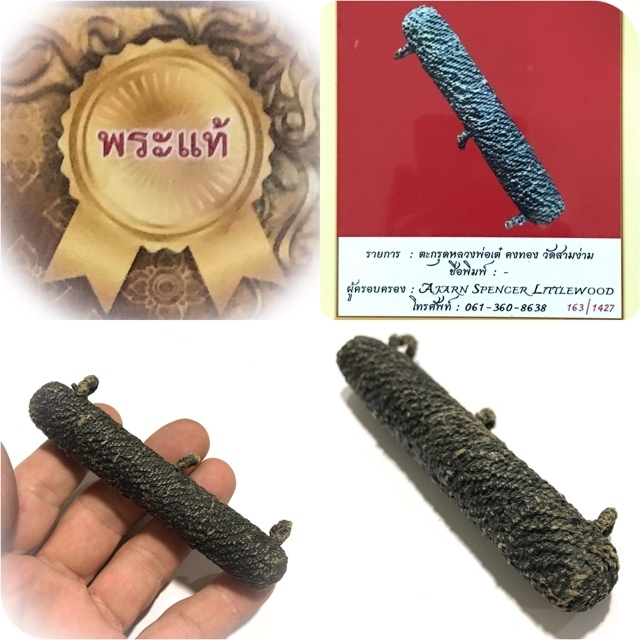 A very rare antique Sacred Tiger Forehead Fur Takrut in large size 5 inches long with cord wrap and herbal resin coating, from the Great Olden Days Master of Kumarn Tong, Wicha Suea Maha Amnaj, Wicha Pla Tapian, and Wicha Nang Kwak, Luang Por Te Kong Tong, deceased abbot of Wat Sam Ngam. Pure Kong Grapan Chadtri Maha Amnaj Klaew Klaad Serm Yos Power, for those who seek increased status, or more command over their underlings, promotion, wealth and invincibility, as well as evasion of deadly dangers, and prosperous living. 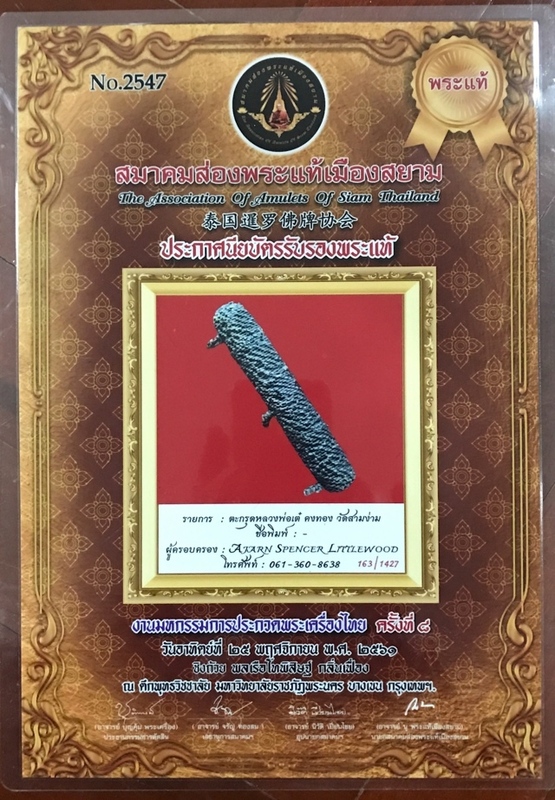 Issued with A4 size plasticized certificate of authenticity from the association of amulets of Siam Thailand, as an authentic Takrut LP Te Wat Sam Ngam (without further finer definition of contents of Takrut on the certificate). 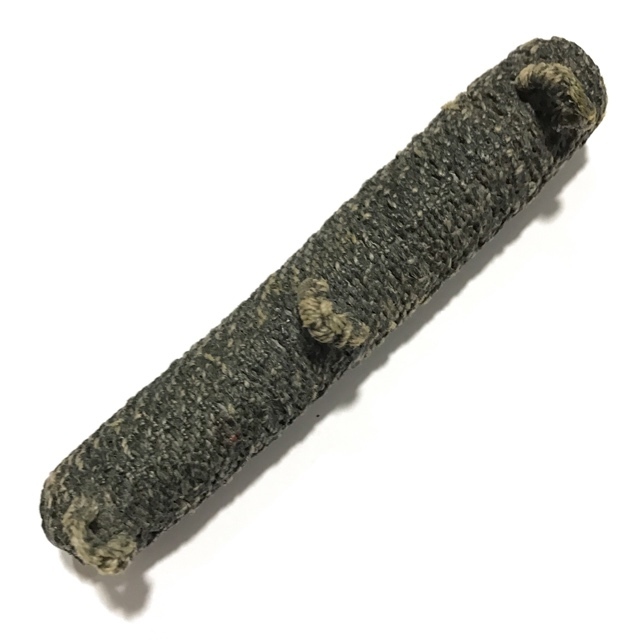 However, our proprietor Ajarn Spencer's additional knowledge and info and experience as a Lersi Hermit practicing Sorcery and Meditation, and as an ex Monk and amulet maker in his own right, as well as a student of LP Te's amulets, allows us to further define this item as being tiger forehead fur, as was ubiquitous with this type of Takrut from LP Te. 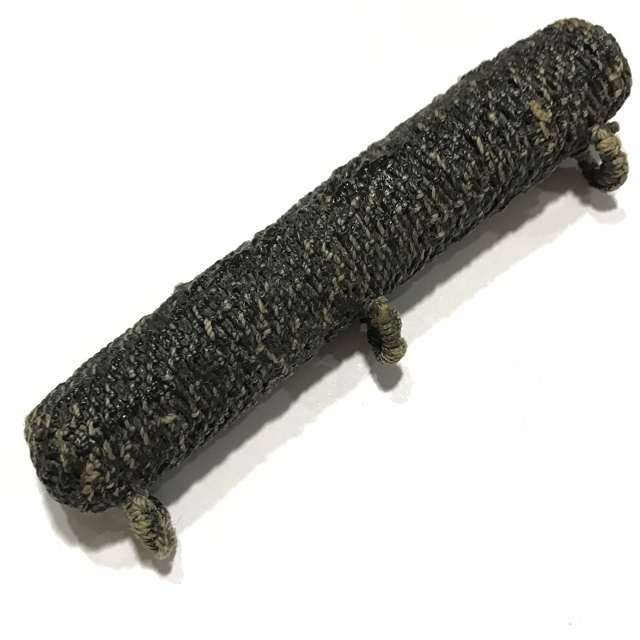 Free Registered Airmail Shipping worldwide is included with this item as is the case with all items in our store except for books which are heavy and expensive to send. The forehead skin of the tiger, is seen to be the most powerful of all parts places to take the skin, and full of concentrated Kong Grapan Magic. 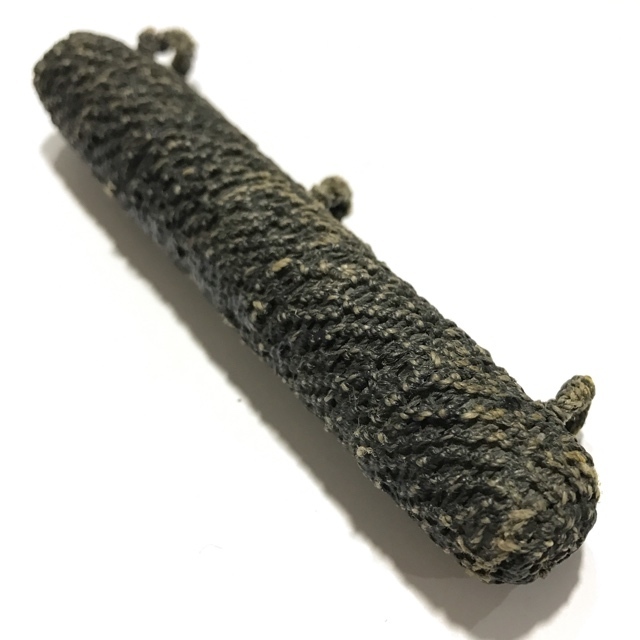 It is believed to be much more powerful than body skin, and to have the best Anti Black Magick and Gunstopper Maha Ud Power. It is also preferred for its Maha Amnaj Commanding Dominion over others. 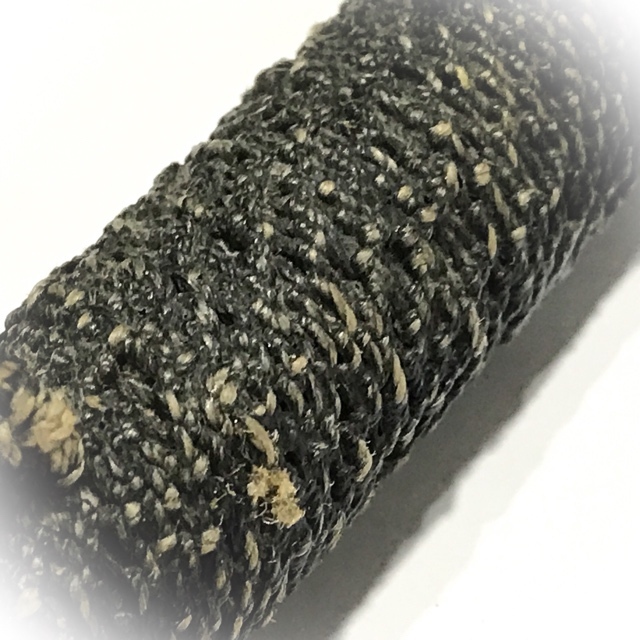 Encasement Options are included but we recommend this item to be worn bare on a cord belt, as originally intended, using the three cord pendant hoops attached. Luang Por Te was a Great Sorceror Monk of the Second World War Era who had learned powerful Wicha Kumarn Tong from Khmer Sorcerors of the Lay Tradition, and was the direct Wicha inheritance Master apprenticeship holder of Luang Por Ta, of Wat Paniang Dtaek, and Luang Por Chaem, of Wat Ta Gong. 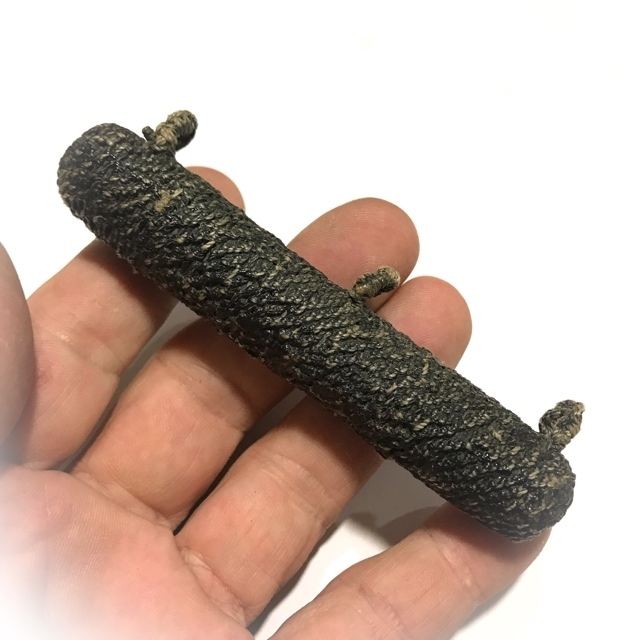 He was present on many of the Greatest Blessing Ceremonies of amulets in Great temples around the country, almost always invited for his Powerful Wicha. He was regarded as the world's number one top master of his day for Wicha Kumarn Tong. 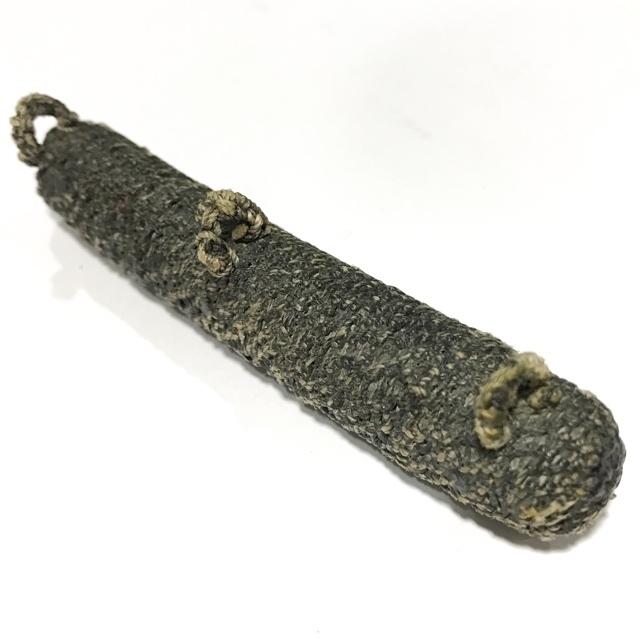 LP Te's Takrut 'Hnaa Phaag Suea', are extremely rare, and amongst the more difficult to find amulets, and are very jealously guarded by their owners for their famous power of Maha Ud Maha Amnaj Kong Grapan. 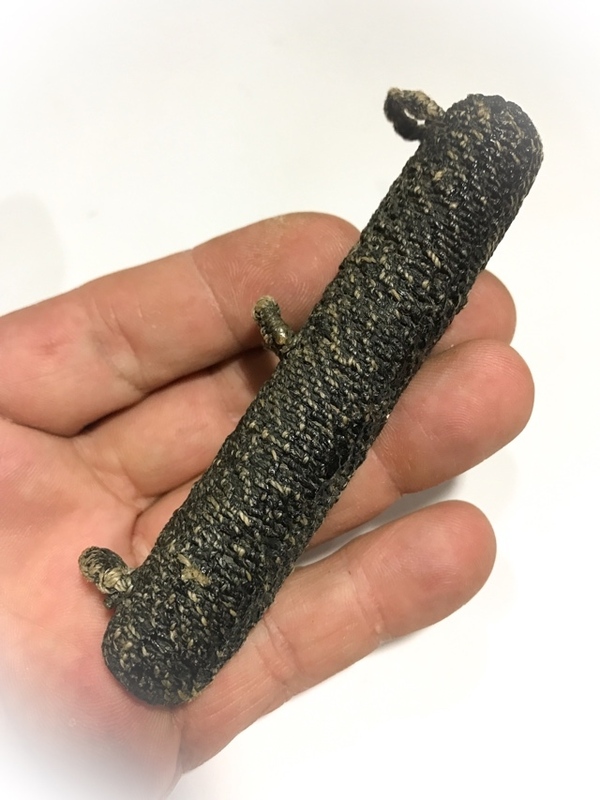 This is not strange, considering how so many tales of Miraculous Events arising from the amulets of Luang Por Te's Takrut Hnaa Bpaag Suea and other amulets. 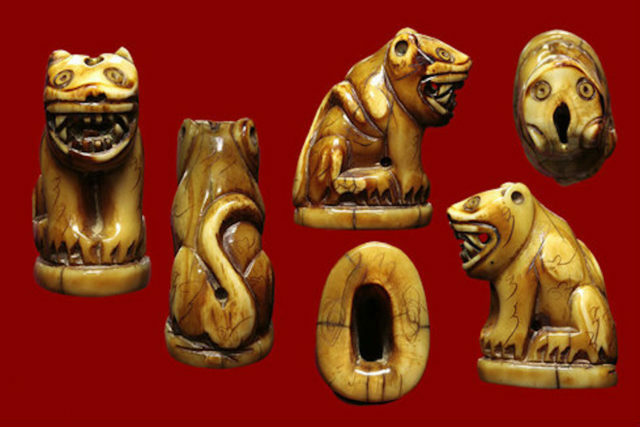 In the early years, Luang Por Te made mostly 'Krueang Rang' Talismanic Amulets and Occult Charms, such as the Takrut Hnaa Phaag Suea tiger forehead skin scroll spell, See Pheung, and the like. He also became famous for Nang Kwak statues, which were (and still are) immensely popular with merchants and market traders, and shop owners, for their Metta Maha Niyom Maha Sanaeh Maha Lap power to attract customers and admirers, and bring successful business. 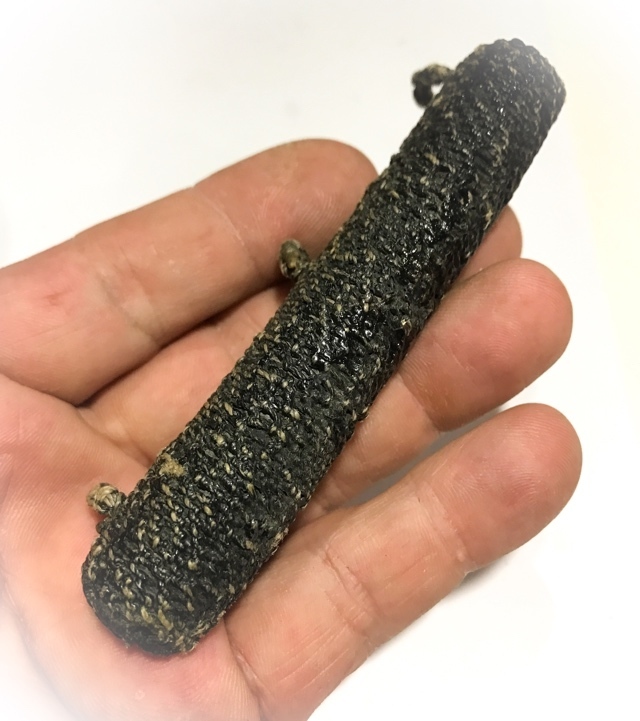 But as he came to be abbot of Wat Sam Ngam, he saw there were many robbers and thieves in the province, and so began to make and distribute Kumarn Tong using the Khmer Wicha he has mastered under his Khmer Lersi Guru. 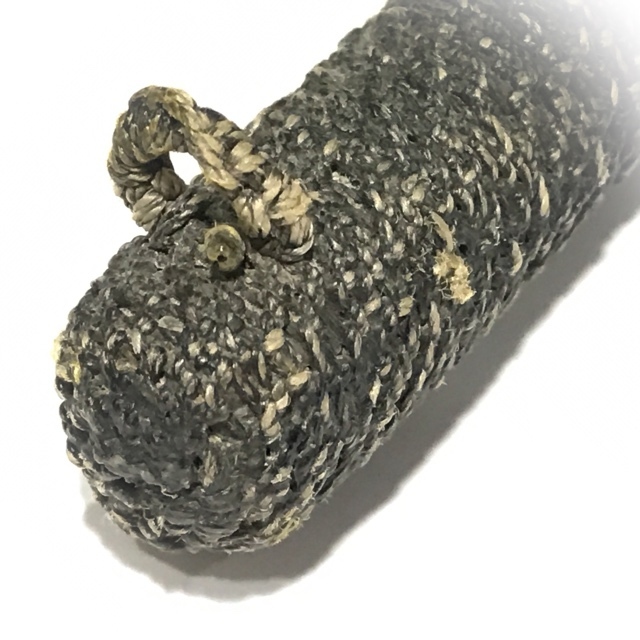 He distributed his now so very world famous and legendary Kumarn Tong to the devotees to protect their households and shop stalls, and a miraculous change came to the life of the local folk, as the effect of the Kumarn Tong was excellent. Robberies and Burglaries reduced to an almost unnoticeable level. 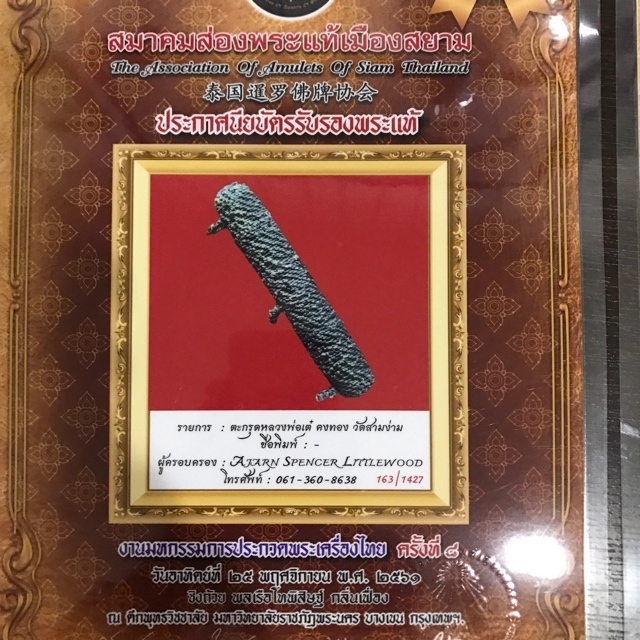 But Luang Por Te did not only empower the Kumarn Tong for Protection; The powerful Metta Mahaniyom Maha Sanaeh Maha Lap Magic of the Kumarn Tong also brought the municipality and indeed the province of Nakorn Pathom to increasing prosperity as the local traders and market sellers experienced incredible increase in profits, customers, and even lucky fortunes with lottery. Thus it began, that the legend of the Kumarn Tong Luang Por Te was begun. 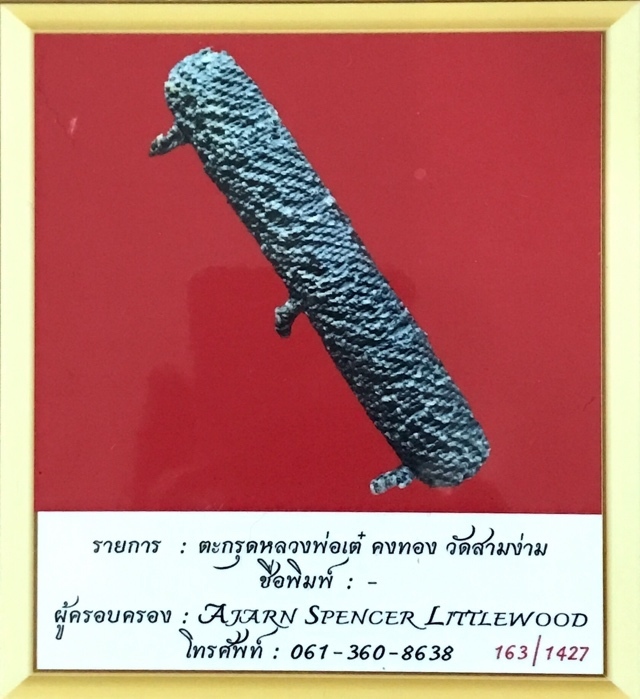 Although Luang Por Te was and continues to remain world famous for his powerful WQicha Kumarn Tong, Luang Por also made a vast array of other amulets, and Talismanic Charms, almost all of which are popular and considered very powerful by the devotees of this Legendary Master.The Takrut Hnaa Bpaag Suea was one of Luang Por Te's first popular amulets of his early Era, and was highly revered even before he became known for Kumarn Tong. 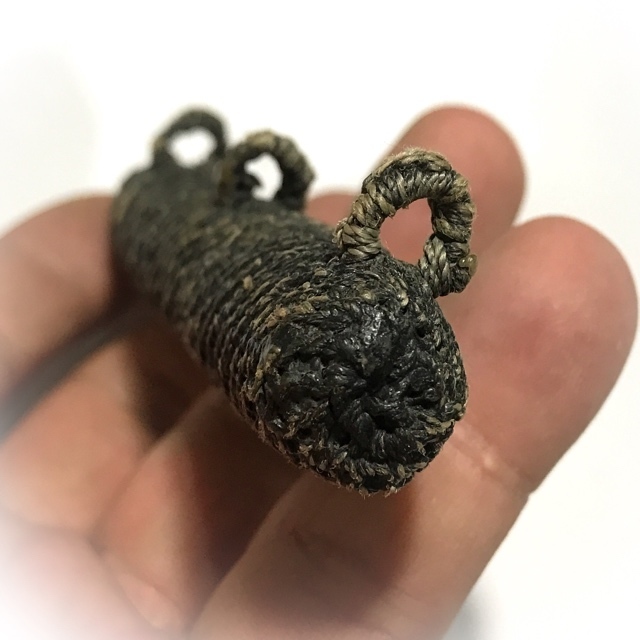 The Takrut Hnaa Bpaag Suea is yet one more classic and essential Rarity for the Devotee who needs true Protective Magick from the Olden days Masters, from a time before Buddhism became Commercial, and when special amulets like this, were still hand made one by one by the Masters . Most Powerful Kong Grapan Chadtri Klaew Klaad Serm Yos Metta Mahaniyom and Maha Sanaeh Animist Occult Charm from one of the top Ten Master Monks of the Indo-China Wartime Era. 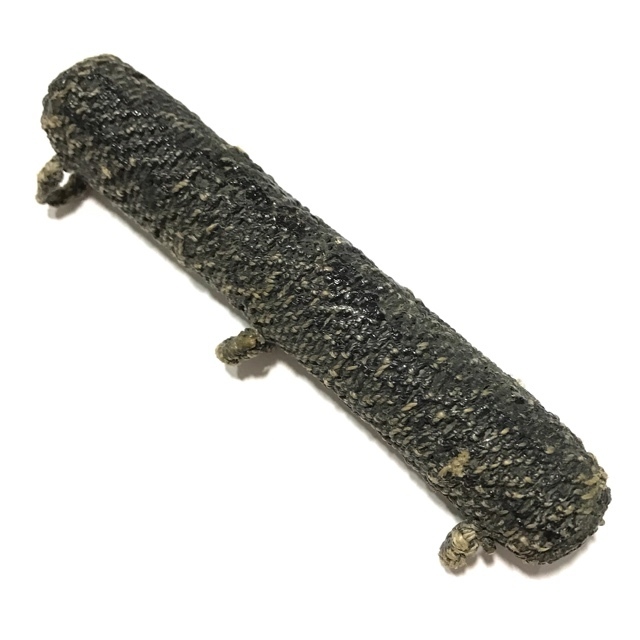 Small and portable, this amulet is both Powerful, and of Historical Value and of Extremely High Status in the Amulet World. He made many types of Takrut (especially famed for the Tiger Forehead Takrut), See Pheung and Nam Man Prai, Sacred Powder amulets, metal coins, occult charms, Pha Yant (Yantra Cloths), and various kinds of Bucha statues. His power of Kong Grapan Chadtri, Klaew Klaad, Maha Lap, Kaa Khaay, Maha Pokaap and Maha Amnaj, also enjoys legendary status and world wide fame. 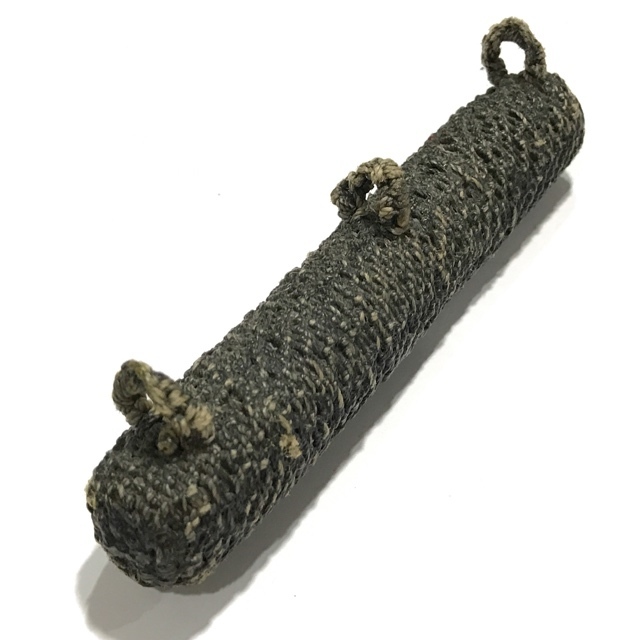 LP Te would make amulets in various manners using different methods, mostly during the Second World War. 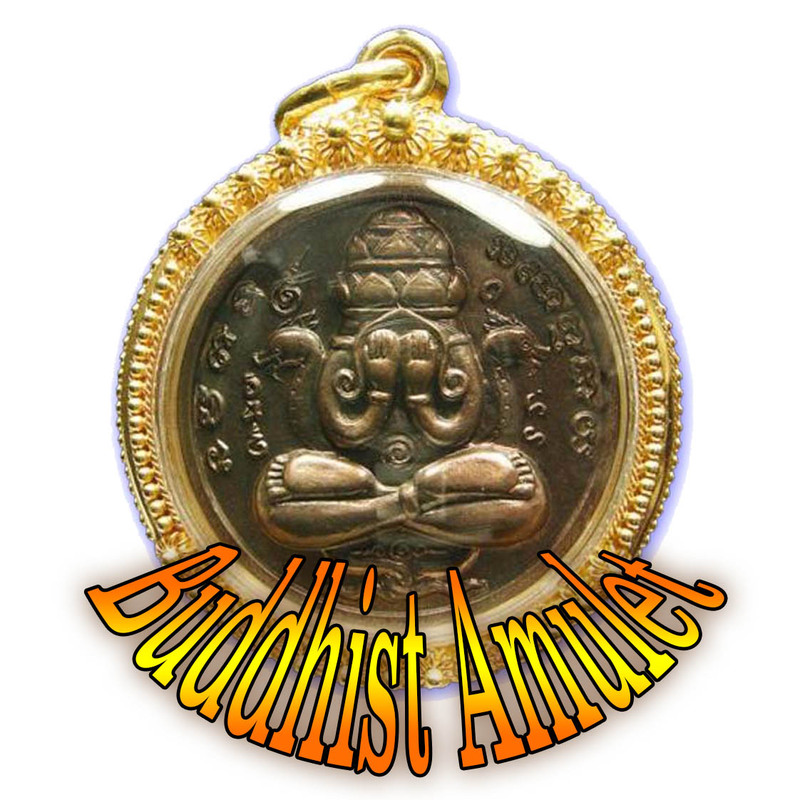 Every single edition or type of amulet he made was the cause of miraculous events which have become legends that are still told of to this day. He never really focused much on finding artists or developing any kind of fine Buddhist art out of the amulet design, rather focused entirely on the empowerment and gave little importance, or at least second place, to the elegance of design or features of his own hand made amulets. However the 2505 BE Edition, and the Monk Coins which were designed by Qualified Artisans, reflect a very high standard of Artistry, and are Important works of Miniature Thai Buddhist Art. 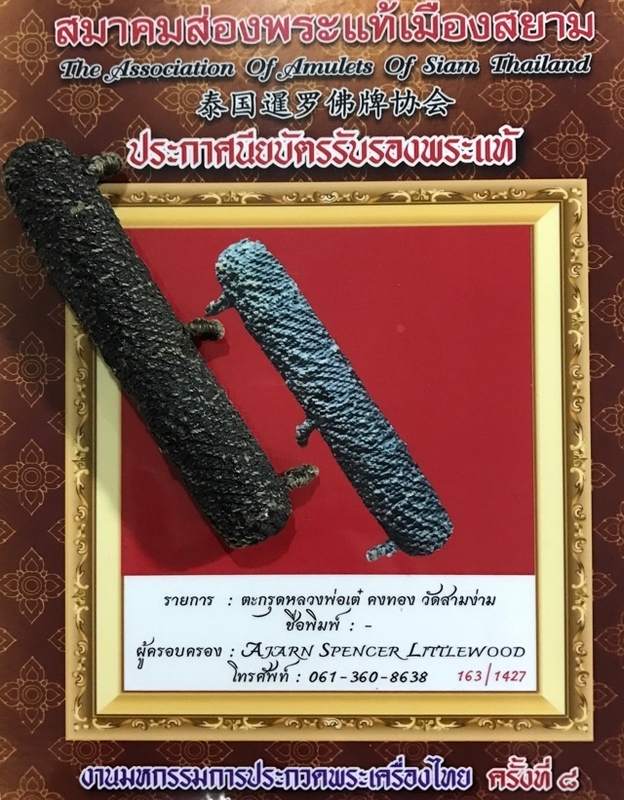 His Kumarn Tong and Nang Kwak statues and other amulets, are worshipped by devotees from all continents on the planet, and the large number of people who claim to have had overturning success after making Bucha to his amulets is a further proof of the effectivity of his amulets and of his ability to empower them properly. He was intensely aiming for the highest concentration of Puttakun Power for people to have some portable form of protection to carry with them, and to make Bucha statues for their homes and business establishments. Luang Por Te presided over the temple of Wat Sam Ngam, for many years performing meritorious deeds for the folk of Nakorn Pathom, and was extremely beloved. Luang Por Te passed away on the 25th December 2524 at the age of 80 years old, 6 months, 10 days. It was his 59th year of Ordination as a Bhikkhu. His remains are currently held on display for his Devotees to worship at the temple of Wat Sam Ngam. Year of Issue:Early Era Years.